.......53 Buddhas and Me .................My Life Adventures.....: Empty Glass!! Tonight I am at my cousin “Susans” house in Traralgon which is just over 200kms from my house. I am here as we are going to a scrapbooking day tomorrow. Susan is the closest person I have to a sister and I just love spending time with her. You know you are really comfortable with someone when you can sit with them and not feel you have to speak. That’s how we are, but I don’t usually find myself lost for words, I am a bit of a jabber jaws sometimes. Susans husband Glynn gave me my word learning idea for today and it is another weird one. “Living to Learn” update: Todays word is in the group of some pretty weird ones about phobias. 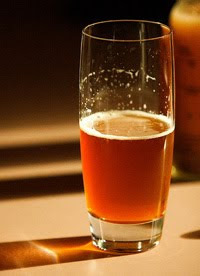 “Cenosilliciaphobia” – The fear of having an empty (beer) glass. Now how is that for a weird one, I know people that have had and/or do have that problem. I haven’t actually been able to find it on any online dictionary, but did find lots of other sites describing the meaning. So that’s good enough for me for it to be a real word. “Davine Time” update: Tonight I enjoyed a quiet night with Susan and Glynn watching a “feel good” move “Nims Island”. It was made in 2008 and stars Abigail Breslin and Jodie Foster. The reviews I read weren’t very good but hey what would they know, I enjoyed it. Glad that you are with comfortable people. All of us who work at the front desk at the Old Faithful Inn in Yellowstone Park love our guests from Australia. They have all been funny and charming. Maybe it's because their beer glasses are never empty. Have a good day. Davine good for you to be visiting with your "sister." I love it when I can be with others and not feel the need to talk, I guess that's how I am with my boyfriend. It's not that I don't like to talk, I love chatting, but sometimes it's nice just to sit back and quietly enjoy. Good that you have someone like this in your life.